With great disappointment and distaste, I read the above-titled piece supposedly written by one Abdullahi Haruna. It was indeed like a tour of a lunatic asylum. What are his contentions? It was clearly sponsored by those who are dismayed that the Vice-Presidential candidate of the PDP, Mr. Peter Obi has no common fault that are observed among many Nigerian politicians and in desperation concoct tales, which defy all logic. The unidentifiable Haruna submitted falsely that as Governor of Anambra State, Obi “bundled some northerners” back to their home-States. He is intensely annoyed that Obi uses his life-style to explain certain actions he took as Governor; making reference to the controversy over Buhari’s age; and attempting to resurrect the N250 million issue. Those of us from Anambra State are wondering when the bundling of Hausas from the area or any other group for that matter, took place during Obi’s tenure. There was absolutely nothing like that. On the contrary, Obi championed and fought against the deportation of any group of people from any part of the country, insisting that even the mentally-unstable should be rehabilitated in the State of domicile; and he did exactly that in Anambra State. The records of the several destitutes from across the State that were catered for by the Obi administration at Nawfia Psychiatric Hospital are there for anybody to see. From many indications, millions of Nigerians across the country have embraced the choice of Peter Obi as the running mate to Alhaji Abubakar Atiku. They objectively assessed him from his records in the private sector, his performance as two-term Governor of Anambra State, and his conduct and public-spirited pursuits since he left Government House. In fact, hardly anything -- even a major sporting victory – can compare to the joy expressed by millions of Nigerians at home and in the Diaspora. Of course, it is normal that the opposition should become jittery and they are. After many “strategy meetings”, as they termed their scheming sessions, they decided that the best way to present Obi in a bad light is to lie that he demolished mosques in Anambra State and sent Hausas packing from Anambra State. 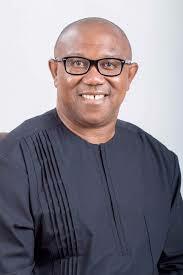 It is gratifying to note that among other concerned citizens, three former Police Chiefs of Northern origin, who variously served as Commissioners of Police in Anambra State under Obi’s tenure, have expressed their disgust and exasperation with the lies against Peter Obi. Putting the records straight,Alhaji Amusa Bello – Anambra CP from 2006 to 2010 -- described the allegation as laughable at best and a figment of the author’s imagination. He also advised rumour-mongers and purveyors of falsehood to desist from such acts and support who God anointed to showcase what modern politics, leadership and management should represent. He observed that it was unthinkable for anyone to associate Mr. Peter Obi with violence or rascality as Obi never demolished any Mosque nor asked anyone, aside from criminals and kidnappers, to leave the State. Similarly, retired Deputy Inspector- General of Police, Mr. Philemon Leha said: “I am from the North and I know what I am saying. Northerners are among the people holding the economy of Anambra State and in what circumstances could a Governor have sacked them? Numbering millions, they are practically everywhere in the State, including Awka, Amansea, Onitsha, Nnewi and many other towns and communities. Let Nigerians be assured that the allegations are lies. Anybody spreading that kind of rumour is not being fair to the man and that is not the way to go for our national development”. On his part, Gwary Usman, who retired as an AIG described the allegations as "false and wicked”. In his words, ''It is not true; the allegations are false. I was in the State as CP and I was better placed to know the truth. Throughout the time I was in Anambra, nothing like that ever happened. Peter Obi is a detribalized citizen. I can tell you authoritatively that even if I wake of from slumber and you ask me this question, I will tell you that Obi did not and can never hate any Northerner. 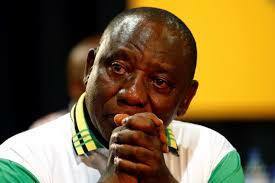 I am surprised that our people are being deceitful”. What else could be said about the allegations? The said Abdullahi Haruna also tried to resurrect the issue of N250 million. Many Nigerians may recall that when it came up, the then Governor Peter Obi waived his immunity, which nobody has ever done before and even since then. A thorough investigation was carried out by Mr. Solomon Arase who later became the Inspector- General of Police; and the findings are clear for anybody to see. The money in question was for payment for vehicles already procured. The procurement documents were duly presented to the then Commissioner of Police of Lagos State, Mr. Marvel Akpoyibo who later retired as a DIG. All this happened when Sir Mike Okiro was the Inspector-General of Police. The principal actors are all still alive, well and accessible for confirmation of the facts. Meanwhile, at the time this happened, Obi was having some challenges with the Anambra State House of Assembly, which saw it as an opportunity to nail him. After their own investigations, in spite of the calls by their party hierarchy at that time for them to commence his impeachment, they declared him innocent. Why would any sane person imagine they can gain some political mileage by resurrecting the matter today? In desperate moments in the write-up, the supposed writer saw Obi’s references to his frugal life-style as a crime that must be punished. Observers of Obi would have discovered that those statements are not made with righteous indignation, but to explain the rationale for his decisions and actions. If Obi has one wrist-watch, one pair of shoes or one house, how could that qualify as the subject of obloquy? The man in question, even before he became the Governor, had the capacity to own houses in the 36 States of the Federation and Abuja, and drive the most exotic cars; but that he has chosen a particular life-style, which he uses to explain his promptings should not be an issue to any serious-minded person. On the age of Buhari that the Abdullahi Haruna referred to, one cannot fathom his aim. What should interest him is proving to us that for the person in question, age has not been a barrier. In some other climes, we see older people in governance but amongst whom age was not a barrier. Anyone following the progress of Obi in politics knows that he is of uncommon stuff. He is human and susceptible to the faults of humans all over, but when his faults are placed on a scale against his virtues, his virtues dominate. As a public office holder, Nigerians use mostly his outing in Anambra State to judge him. During his tenure, he was adjudged as the Best Governor in fiscal discipline and management of resources. In terms of infrastructural development, the Federal Ministry of Works declared that under him, Anambra State had the best road network in the country. Obi’s competence and performance were so solid that even as a serving Governor, he was appointed into the Presidential Economic Management Team to bring to the Centre some of his economic policies that turned Anambra State around. 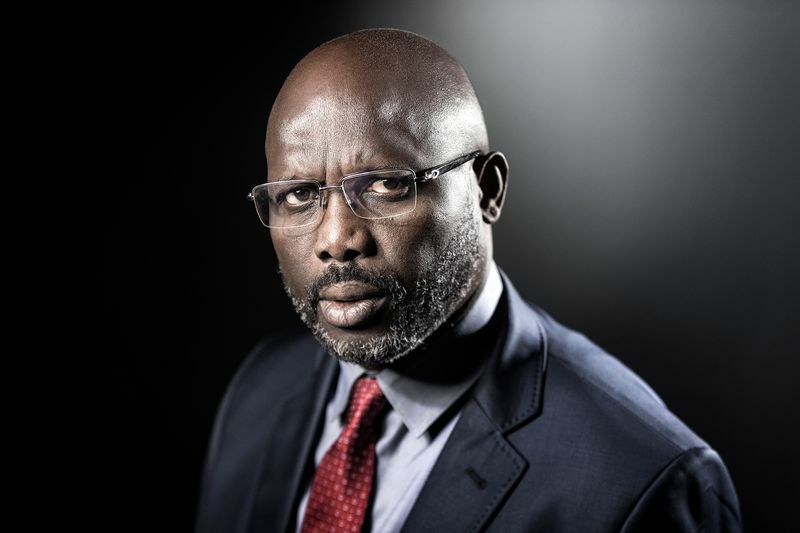 He was the first State Governor to commence the Sub-Sovereign Wealth savings -- the first of its kind in Sub-Saharan Africa. At a time many other Governors were bequeathing huge debts, he left the equivalent of $US500 million in investments, as well as local and foreign currencies, including $156 million, in Dollar-denominated bonds. He was recognized as Best Governor by the Millennium Development Goals Office (OSSAP-MDGs) and the UNDP in the implementation of their programmes in Nigeria. Under him, the Nigerian Debt Management Office (DMO) rated Anambra State as the least-indebted State in Nigeria. In spite of visible and measurable achievements recorded in various sectors, the State under him did not borrow or raise bonds for its various projects. Peter Obi’s return of schools and subsequent partnership with the Church which witnessed procurement of buses and over 30,000 computers for schools in the State, witnessed the State move from 24th position out of 36 States to Number One in external examinations. As part of the efforts to turn around the economy of the State, a number of companies were attracted to build their facilities in the Anambra State. A case in point is SABMiller, the 2ndlargest brewery in the world, which built their first Green Field facility in the State, that today ranks as one of the most successful facilities they operate globally. A number of other companies followed the SABMiller initiative and were all supported and encouraged by the Obi administration. A good example is INNOSON Motor Manufacturing Company, from which Anambra State under him bought more than 1,000 vehicles. The attainments of Peter Obi as Governor of Anambra State are unbelievable, but verifiable. For Alhaji Abubakar Atiku to have chosen him means that he is indeed coming to work for the country. What should be of interest to Nigerians is how Obi will bring his rich experience in Anambra to the Federal level, and not descend to pettiness as demonstrated by hacks like Abdullahi Haruna.